Children are disappearing in the Fire Nation capital! 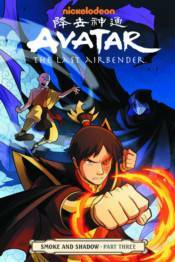 Avatar Aang and his friends are doing everything in their power to save them-but will it be enough? And worse, when Azula-the mad sister of Fire Lord Zuko-appears on the scene, Zuko locks down the city to catch her, igniting fear and riots in the streets! Will Zuko follow in his evil father's footsteps in order to save those he holds dear?